Cabin Kit packages include everything... from the top of the foundation to the top of the roof... shipped from own Canadian mills at least 31% below US prices! Pre-built "Panelized" Packages... at no added cost! Included are pre-built exterior and interior wall panels, pre-cut roof system, pre-built stairs (per plans), all hardware and fasteners, and complete framing plans save you thousands in building and labor costs. Exclusive "NAFTA" free trade agreement customers thousands off higher US prices. NO US import duties or tariffs of 31%, NO state sales taxes, plus Currency Exchange Credit to US customers. 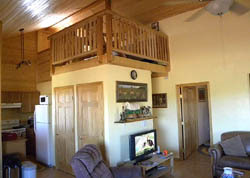 Savings on multiple Vacation & Air BnB cabins. 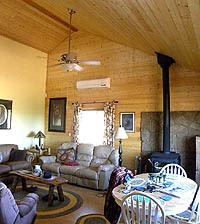 Use any Cabin Kit plan, or our design team can customize your own plans. Everything included in a weather-tight locked-up structural shell package... ready to build and decorate inside. Experienced building and design professionals to help you with plans. 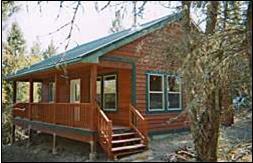 Cabin Kits include documented, structurally engineered, state-stamped plans that meet building codes in the US. "Fast-track" building permits through your local building department.